Two of Sovereign Hill’s special events have been shortlisted as finalists in the Museums & Galleries National Awards (MAGNA), to be announced in Brisbane on 15th May. A Victorian Silhouette, a fashion event staged by Sovereign Hill as a part of the Virgin Australia Melbourne Fashion Festival Arts Program this year, showcased the secrets of the 1850s Victorian silhouette and how this silhouette was built through undergarments and foundation wear. 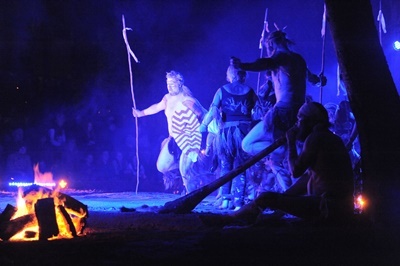 The event is a finalist in the category of ‘Interpretation, Learning and Audience Engagement’. 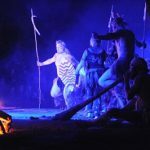 The Gnarwirring Ngitj Festival, staged to celebrate Aboriginal stories, traditions and history, as well as the important contribution that Aboriginal people made to the goldfields, has been nominated in the ‘Indigenous Projects’ category. “At Sovereign Hill, our team works tirelessly to deliver innovative, unique events, and it’s an honour that two of our events have been named as finalists in the MAGNA Awards,” says Sovereign Hill CEO Jeremy Johnson. “Working with a level of innovation that is second to none is the key to constantly re-inventing Sovereign Hill, while telling the story of the 1850s”. MAGNA is the Museums and Galleries National Awards. The MAGNAs primarily focus on innovation and excellence in exhibition, audience engagement and indigenous projects, and are open to all non-commercial museums, galleries, zoos, botanical gardens and other cultural and collecting institutions who are members of Museums Australia. The Awards Ceremony will be held on Monday 15 May 2017 from 6:00 – 8:30pm in Exhibition Hall, at the Brisbane Convention and Exhibition Centre on Brisbane’s South Bank, as part of the Museums Galleries Australia National Conference.